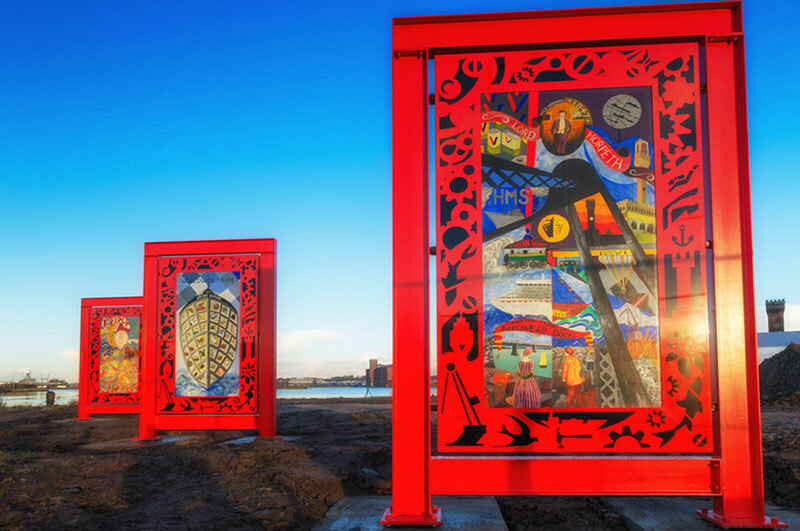 In June 2015 we were invited by Robyn Woolston to provide ideas and costs for an interesting & unusual arts project to be located at Wirral Waters in Wallasey, Merseyside. The original intention was for Benson Signs to provide decorative frames and a method of fixing for hand-painted plywood artworks. The artworks, produced by local community members, were to be mounted directly to wall space adjacent to a busy main road for maximum impact. Various designs and methods were considered for mounting the artwork and for manufacturing the intricate metal decorative surrounds, including laser cutting, CNC profiling and even screenprinting. Around six months into the project our clients managed to secure an improved position for siting of the artworks. 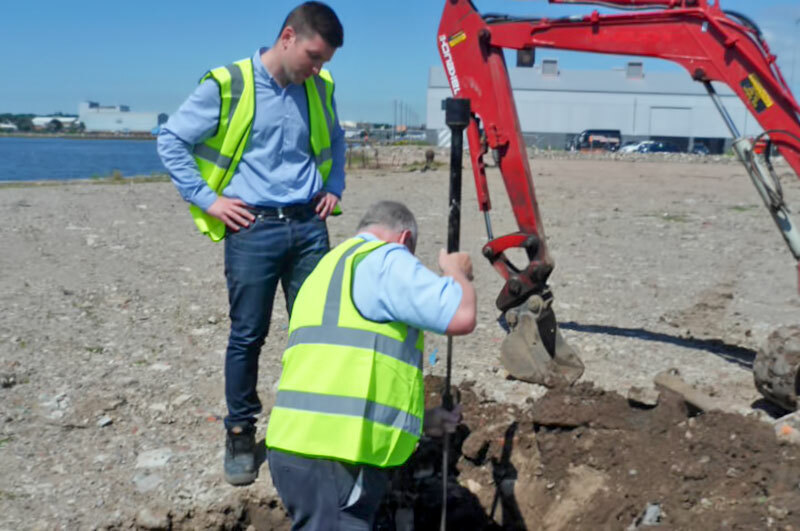 This was close to an area with extensive maritime history, within the old docks, known locally as the Four Bridges, and owned by Peel Holdings who, along with Wirral Methodist Housing Association, provided the bulk of the funding for the project. This meant a completely different approach as to how the artworks would be housed and installed. Robust free-standing structures were now needed. The historic dockside setting was undergoing redevelopment and a recently completed building stood close by, so the design needed to reflect the industrial and maritime heritage of the area. After much consultation with our clients, structural engineers and other interested parties, a construction method was agreed. 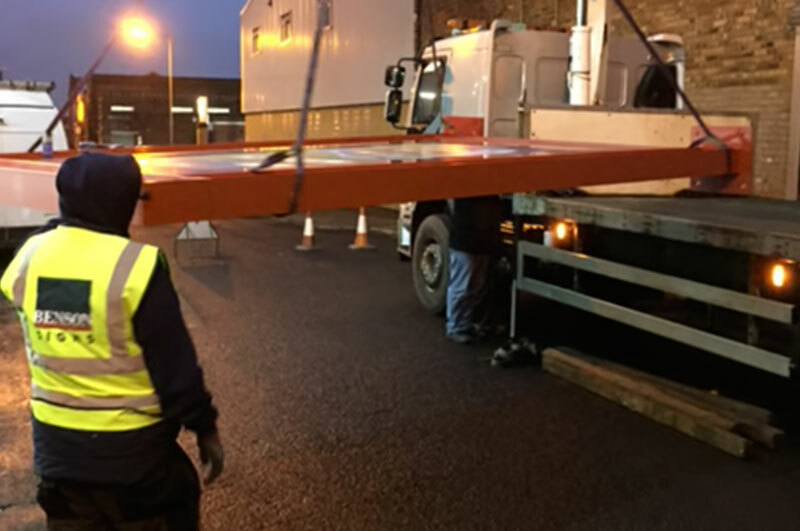 The three structures would consist of substantial steel RSJ outer frames, galvanised and finished bright red with a multiple paint coating that was suitable for the harsh marine environment. Within these outer frames are steel frames to carry the hand-painted artworks. Surrounding this are the painted decorative aluminium frames, which were masked out and sprayed to achieve the lattice effect. Manufacture of the structures began in mid 2016. However, at the same time we were also working hard to overcome the difficulties of specifying and preparing the foundations, which was far from straightforward. Obstacles included the dockside ground conditions, buried electrical cables and stringent requirements from other interested parties involved in the redevelopment. Agreement was eventually reached on the specification. 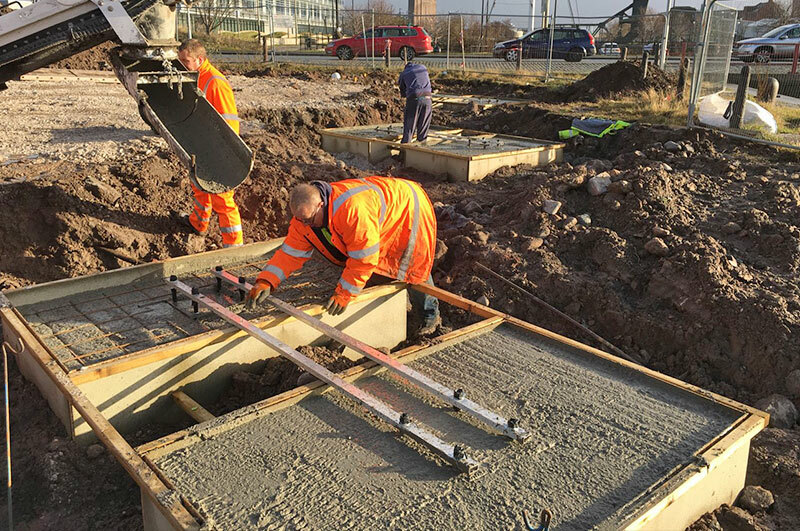 Excavations were dug with foundation studs set and concreted in by our groundworks team, followed by a successful installation by our fitters, with specialist lifting equipment, during January 2017. Our clients were delighted with the finished products. 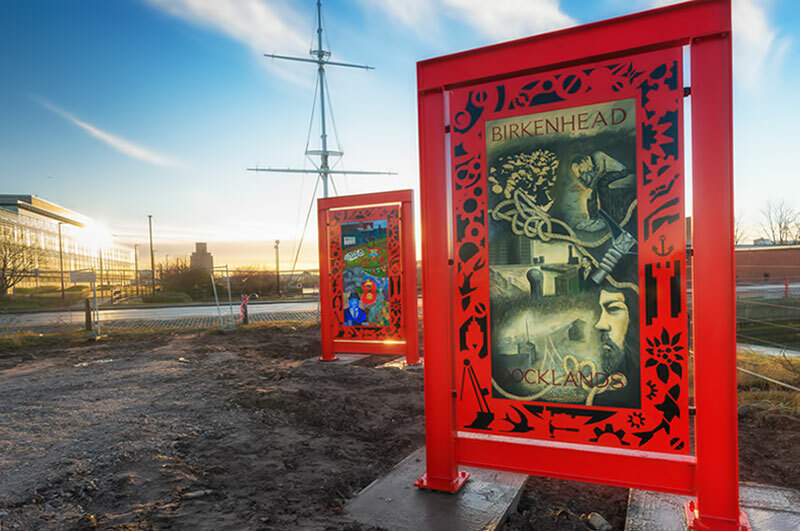 Galvanised Steel frames with integrated hand painted artworks for Wirral Docks.